As one of the largest nations on earth, Brazil’s landscape is expansive, diverse, and awe-inspiring. Perhaps even more awe-inspiring, however, is the country’s fascinating cuisine . Taking much of its influence from European and African immigrants, it is as diverse as the country and its people. 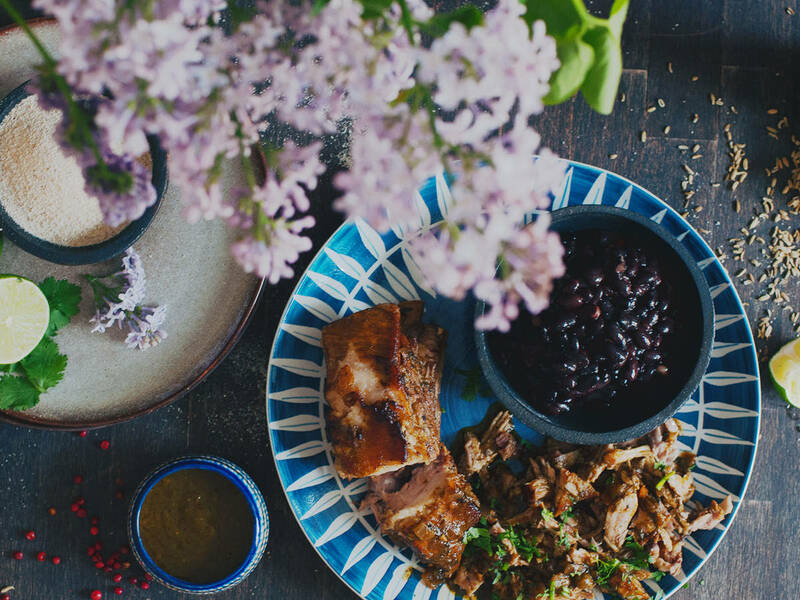 To learn more about the dynamic food culture of Brazil, be sure to check out Brazillian Food, which explores the country’s gastronomy through an impressive collection of recipes, as well as visually stunning photos. You’ll need a few other odds and ends before you embark on your excursion into Brazilian cuisine. We’ve assembled them here to help you get ready. Stews, like the national dish Feijoada, are very popular in Brazil. And they’re enjoyed best when in the company of many friends and family members, which means you don’t want to make the mistake of making too little. Therefore, it’s wise to have a large pot on hand so that you can make a big enough batch to feed a crowd. As is the case in every South American country, a good meal always involves meat. Plenty of meat. Quantity isn’t all that matters, though. Having a wide variety of meats—from steaks to sausages to chicken—is also key. Especially when friends and family gather for the Brazilian barbeque, Churrasco. Farofa is a flour made of manioc (aka yucca or cassava). It is usually toasted in a greased frying pan and can be made with bacon and olives or whisked eggs, nuts, and onions. It is usually served as a side dish or sprinkled on stews. Farofa can also be sauteed with bananas and butter and served as a dessert. If you don’t have a Brazilian supermarket around the corner, you can find the product here. Açaí berries are the fruits of açaizeiro palm tree, which can be found across South America, but especially in Brazil. The fruit, which became popular as a superfood due to its high concentration of antioxidants, vitamins, and minerals, has always been an essential part of the diet of the native inhabitants in the Amazon. Today, the fruit is mainly used in smoothies, fruit bowls, and desserts. Depending on how you want to include açaí in your diet, you can choose between the actual berries, açaí powder, or purée. However, it is mostly used as a powder, as this form is easiest to process. You can find açaí powder here. To prepare the national drink Caipirinha, cane sugar is a must. Traditionally, Caipirinha is prepared with very fine white cane sugar, but brown cane sugar is much more common—especially in Europe and North America. This is because it enhances the taste of sugar cane that’s used to produce cachaças, the distilled spirit used in Caipirinha . Find brown cane sugar here. For the original Caipirinha use fine white cane sugar. For the most authentic taste possible, be sure to use high quality sugar cane liquor. A few dependable producers are Ypióca and Velho Barreiro. A crucial tool that instantly comes to mind when speaking of Brazilian cuisine is a muddler. Traditionally, it is made of wood and used to squash lime pieces for making Caipirinha. But it also comes in handy when preparing mixed spices used to season meats.